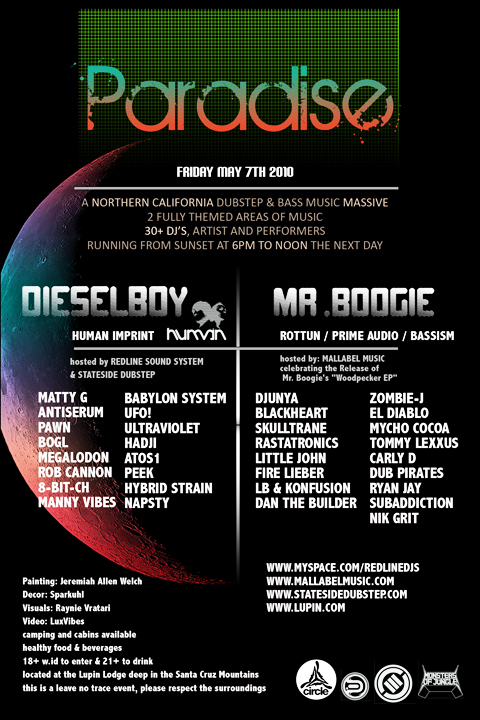 Description: Opel and California Dubstep Republic do it big this time with a massive 4 room show at Mission Rock. Stanton Warriors headline this one on the breaks tip, CDR runs downstairs. 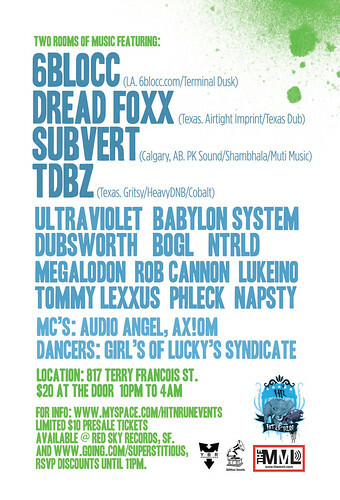 Description: Enjoy dubstep in a lounge environment with Bassism head Tommy Lexxus leading the night on a deeper sound. Description: Techno and dubstep fusion night with Kontrol resident Nikola Baytala and Tommy Lexxus of Bassism Records holding down the dubstep. Tickets: Free before 10, $5 before 11, $10 after.